The Jagers Stand up for charity! 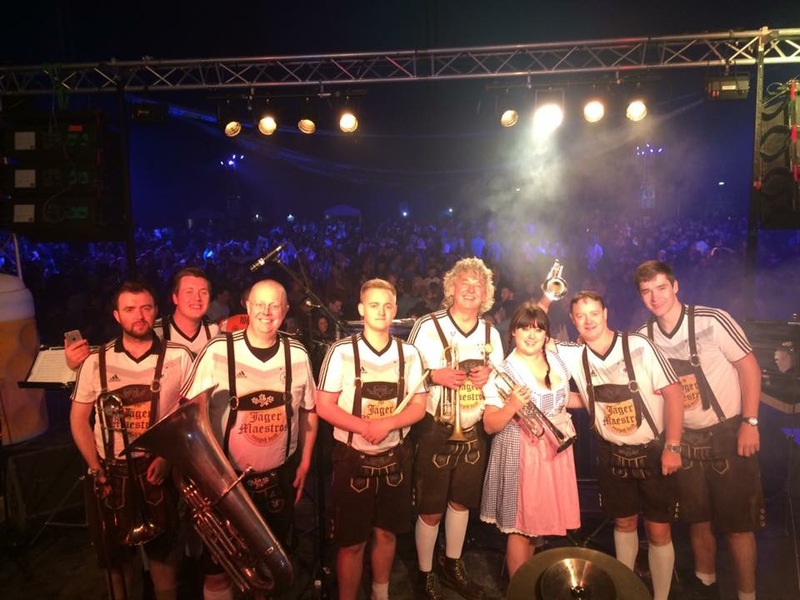 The Jäger Maestros Oompah Band provided the entertainment for a fantastic fundraising night for the charity B.I.R.D helping people who have suffered any form of brain injury. Over £1,000 was raised on the night but the band wanted to raise awareness by taking part in the popular #mannequinchallenge. Please watch our video below to view our Mannequin Challenge. Jagers have the luck of the Irish! The Jagers had a fantastic time in Ireland playing to over 6000 people at Cork’s Oktoberfest event. The event was fantastic with everything Bavarian to create the authentic feel from steins, Oompah music, lederhosen, bratwurst and swaying. The band led the crowds through the whole Oktoberfest experience along with our friends of the Edelweiss Band, having everyone up and dancing throughout the night! Prost! "The Jager Maestros are a fun, professional and a very enjoyable act. We always feel lucky when they're performing and they always bring the house down!" Ben Boothman, Flying Horse owner.